The Women’s Committee under the Raqqa Civilian Council launched literacy classes for women with 42 participants. 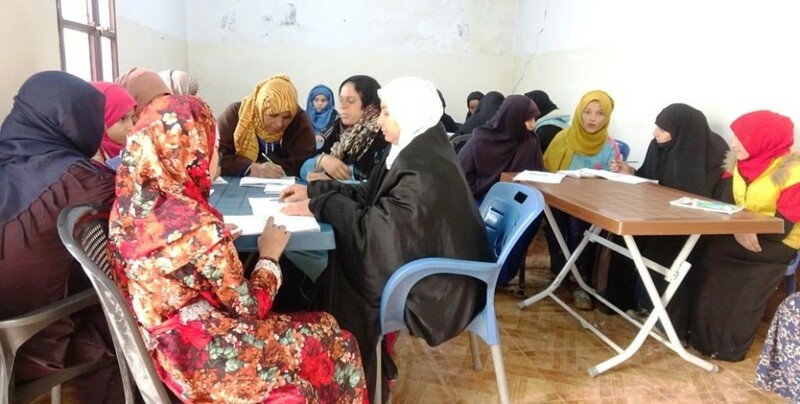 The Women’s Committee under the Raqqa Civilian Council launched literacy classes for women deprived of their right to an education in Raqqa with the motto “Learning and teaching are women’s right and freedom”. The classes started with 42 women and will continue for 3 months. Women’s Committee member Zehra al Miri spoke on the matter and said: “We launched training terms for all ages. Many women have been deprived of their right to an education due to the patriarchal structures,” and added that the classes are taught by experts. Zehra said all women wishing to learn how to read and write can attend the classes.